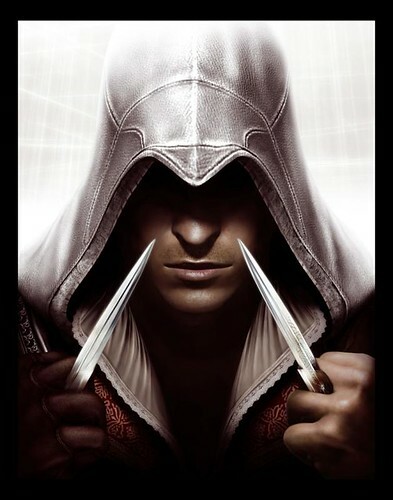 Fans of Assassin’s Creed have been patiently waiting for over two years to join Desmond and return to the Animus. Picking up right where Assassin’s Creed left us, trapped in a room by the Knight Templar scientist your quickly brought in to new series of intrigues and deception. In walks Lucy, not seen since mid adventure in Assassin’s Creed, and your adventures begins. Desmond is introduced to the Animus 2.0 and a new team of research assistants… There is where we meet Ezio Auditore da Firenze, a young Italian nobleman, the latest of Desmond’s ancestors. A man trying to do the right thing, but unwittingly is forced into the life of the assassin to avenge the wrongs done to his family. 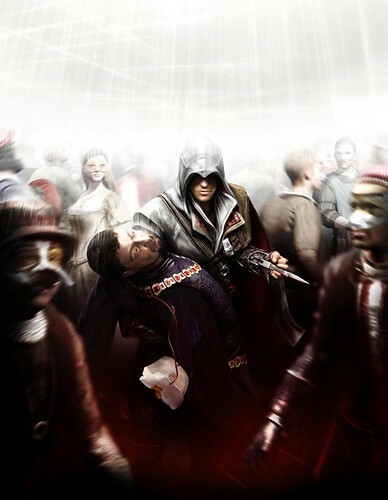 It assist in this Ezio looks to his uncle for direction, a man that ultimately puts Ezio on the path of the Assassin. Ezio’s Mother and Sister will also be around for you to interact with, living at the family estate and offering assistance when you take the time to visit. Making several key upgrades to the game play have taken care of the repetitive investigations and beat up missions that plagued AC. No longer do you need to complete these side quests in order to advance your missions. Also the addition of Assassin history side quests brings a nice challenge to players and a fantastic reward – I highly recommend you do all of these quests as soon as they are made available to you the reward is worth it! With a great storyline your going to find that this is a game your not going to want to turn off. 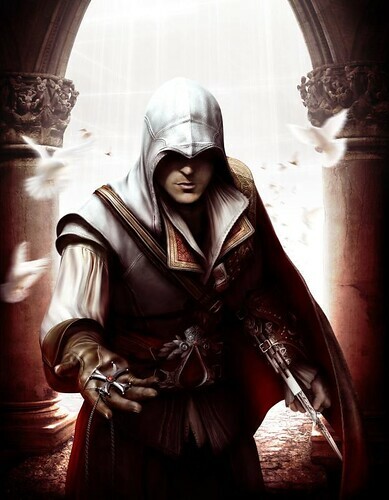 Also introduced into AC2 you will find a number of economic features including the ability to purchase new weapons, armour and upgrades for Ezio from local blacksmiths. You will also find Doctors (health no longer regenerates), Painting shops (with Treasure Maps) and Tailors (for a quick outfit change). Taking the time to upgrade the town at your family villa will have long time rewards and added benefits later in the game – take the time to do this. The ideas of pickpocketing the local populous and looting your targets have been improved and NPCs will actually make a fuss when you pull a few coins from their purse, raising your notoriety and increasing the interests from the local guards. Lowering your notoriety can also bee accomplished in several different manors, understanding these and taking advantage of them will help you blend back into the crowd. Armed with new weapons (swords, knives, daggers and some little tricks to surprise your targets and the guards chasing you) your going to have to make use of all the available tools you have at your disposal. Where the game has some issues resolves in the speed running across building tops, Ezio has the same random jumping problem that Altair was prone to – dropping from building tops at random or unexpected intervals. Major improvements however resolve to the fact that Ezio can; swim, jump to higher ledges and has a number of secret tricks up his sleeves for the unsuspecting if your willing to spend the dough to learn them. The graphics have also been vastly improved over the first game, adding in new Animus level transitions, taller buildings and better environmental effects your going to feel like your truly running all over 14th century Italy. Cut scenes and animated sequences are well scripted and the voice acting is fantastic. Don’t worry Altair fans – your noting going to be complete without him in this story line, Desmond and Lucy will talk often of him and you might actually catch a glimpse of him during your game play.